You’ve cried about it before, multiple times before, but you aren’t sure what you can do to leave the situation you’re facing with your significant other. For years, you thought it would get better and the abuse would stop. Instead, it seems to be getting worse and you don’t want your kids to grow up in a situation like the one you’re in. You’ve thought about disappearing into the night. You’ve considered a divorce before, but you aren’t sure how you can go about doing it. If you’re in an abusive relationship – that doesn’t just mean physically abusive – and you want to get a divorce, then it’s time to start taking action. You might be afraid of what the future holds or what to expect from your spouse, but if you’re looking to go through a divorce from your partner, then we can help. At Lopez & Wilmert, LLP, we are divorce lawyers who also specialize in custody, child support, and domestic violence. These are just a few of the areas we specialize in that could assist you through getting through a divorce with an abusive spouse. There are multiple types of abuse and sometimes we don’t realize we’re being abused until it’s too late. Additionally, sometimes it’s easier to ignore the signs of abuse that might be in front of you such as when your spouse hits you after an argument or drinking was involved and it’s dismissed because it was a one-time situation. Abuse comes in many different forms from physical to emotional. The best rule to live by is to figure out if you’re feeling uncomfortable when you are treated a certain way. If you feel uncomfortable with the way your spouse is talking to you or treating you, then you may be involved in a type of abuse. It might seem easier to stay with your spouse because you love him or her, but if you feel threatened or you’re afraid for your children, then it might be time to get a divorce. Below are a few types of abuse you may have encountered from your spouse. Emotional abuse: Your partner blames you and calls you names. He or she also needs to account for every moment of your life. Physical abuse: Your spouse lays a hand on you even just once. Psychological abuse: You’re ignored, there are threats made against you, and he or she is withholding affection and approval as a form of punishment. Economic abuse: When your spouse doesn’t allow you to get a job or withholds money from you. When you’ve come to the conclusion that you’ve had enough of the way you are being treated, then it’s time for you to step up and get a divorce. At Lopez & Wilmert, LLP, we specialize in divorce and domestic violence. We don’t take cases about domestic violence lightly. We treat each case that comes to us seriously and we’ll help you figure out a strategy that will allow you to feel secure in your decision. 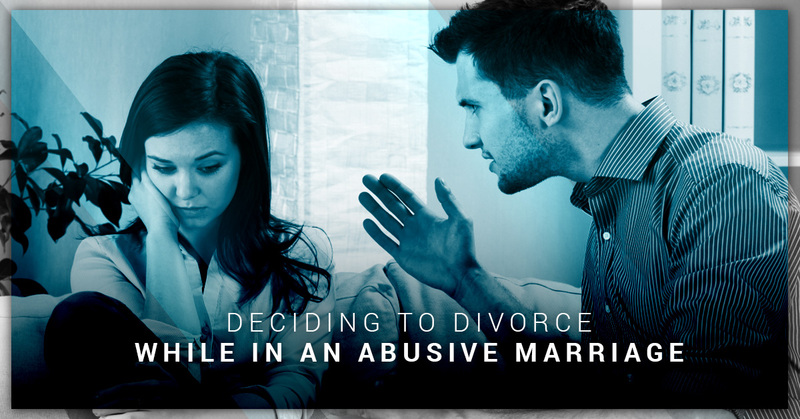 Coming to the conclusion that you want to get a divorce is difficult, but if you’re dealing with domestic violence it’s the best situation for you. Know your rights when you decide to come to our divorce lawyers for assistance.